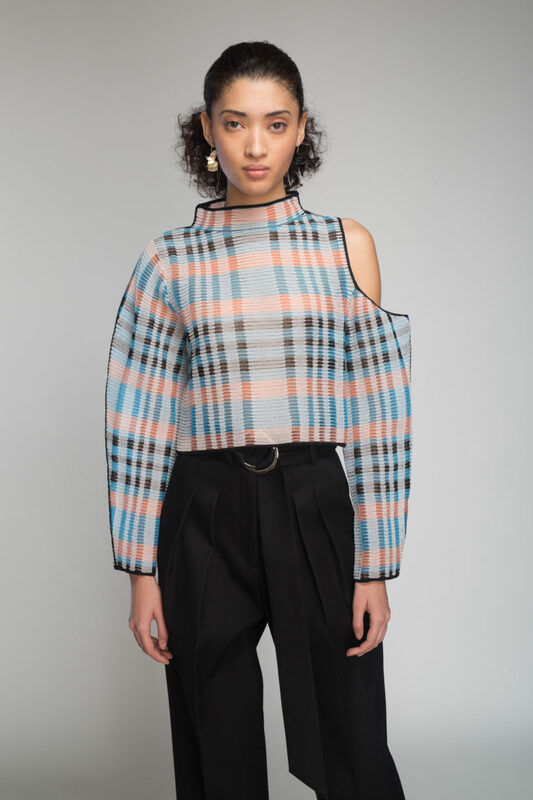 Asymmetric pullover with an allover abstract plaid created by interrupted ottoman stitches. The sculpted shape is defined by a single cold shoulder at wearer's left side. Fabric is made of fine Italian yarns to create a sheer lightweight knit. 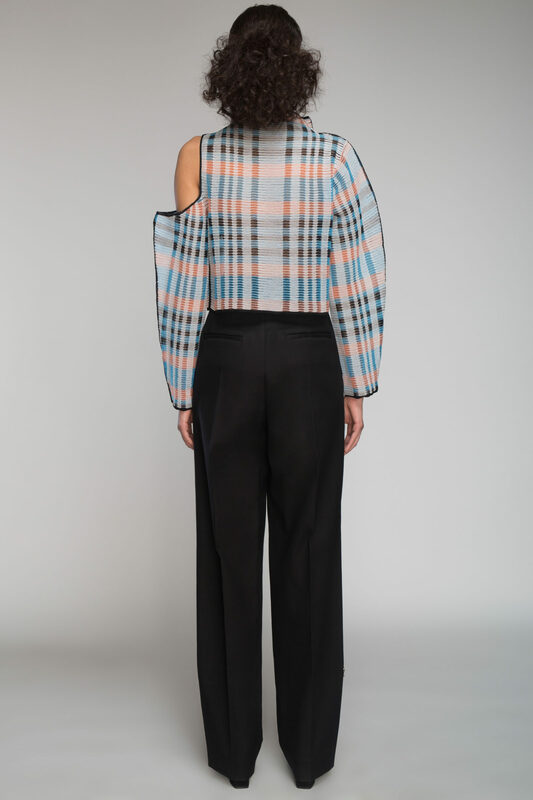 Boxy cropped fit. Model is wearing a size S.